I wanted to share an article I wrote for The Text Message Blog. 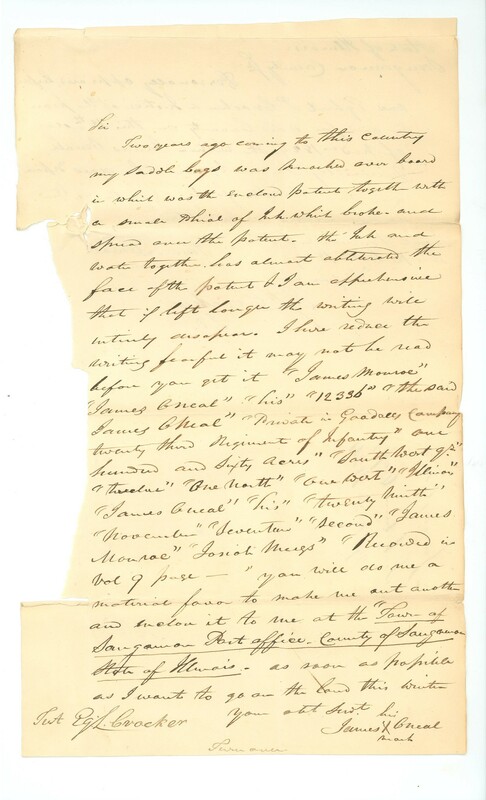 It is about a War of 1812 Bounty-Land Warrant that has seen some better days. In the article I mention a letter, pictured below, that describes how the warrant (which can be viewed via the link above) incurred its wear and tear. It is an interesting story and surprisingly well documented. Certainly one of my favorite finds. Records of the Bureau of Land Management, Record Group 49; National Archives Building, Washington, DC.